We are in the most difficult period of our conflictive history, in an Earth-mankind transition that will clearly define our uncertain fate. We are faced with two forces, that of darkness characterised by some nefarious invading aliens who seized our planet abusively and with impunity 12,000 years ago, and the beings of light from highly subtle and superior worlds, who did their utmost to help us to evolve and acquire necessary skills... However, the power of darkness was stronger and more imposing, yet now that that period of dominion and control has ended, the entire planet and humanity must return to their stellar origins decoding themselves from the baneful frequencies they absorbed, whilst the planet Gaia begins readapting to its new geological structures to become the base of the forthcoming photonic race. 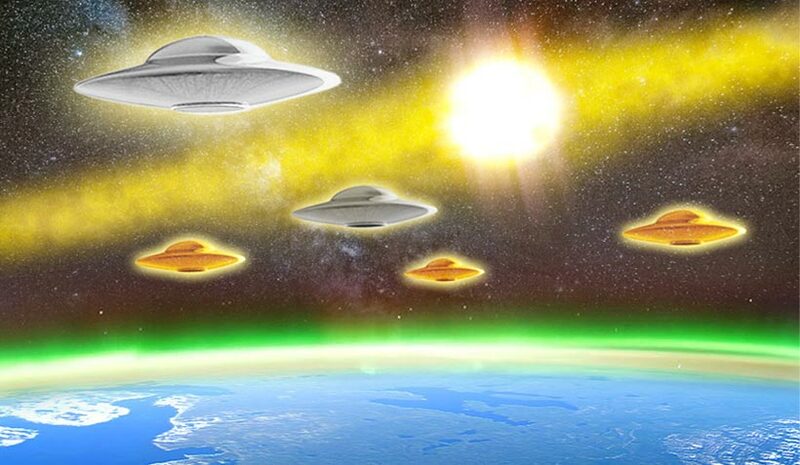 We are called upon to undergo a total and radical planetary, psychological, behavioural and genetic change, as the dominating aliens know extremely well. Therefore they cling to their supremacy and control, fighting to not let us go and provoking further adversities and chaos throughout the world. Strangely enough, since the 2001 attack on the Twin Towers in New York, this repression and limitation has intensified hugely. This is why many activists, journalists and human rights defenders say that the apparent New World Order began on this date. We should not forget that this is what the retrograde aliens want in order to strengthen themselves and cripple us further. Thus, under this pretext, they lock us up and in that way we are controlled without difficulty. For this reason, the entities of anti-light are working tirelessly to maintain the Orwellian globalised mind within us in order to manipulate us through the masses with no opposition, keeping us entertained and fascinated in a thousand and one ways, making it easier for them to exert any kind of control or extermination that they see fit.